Iran is home to one of the world's oldest continuous major civilizations. The first Iranian dynasty formed during the Elamite kingdom in 2800 BC. Climate: Iran's climate ranges from arid or semiarid, to subtropical along the Caspian coast and the northern forests. On the northern edge of the country (the Caspian coastal plain) temperatures rarely fall below freezing and the area remains humid for the rest of the year. 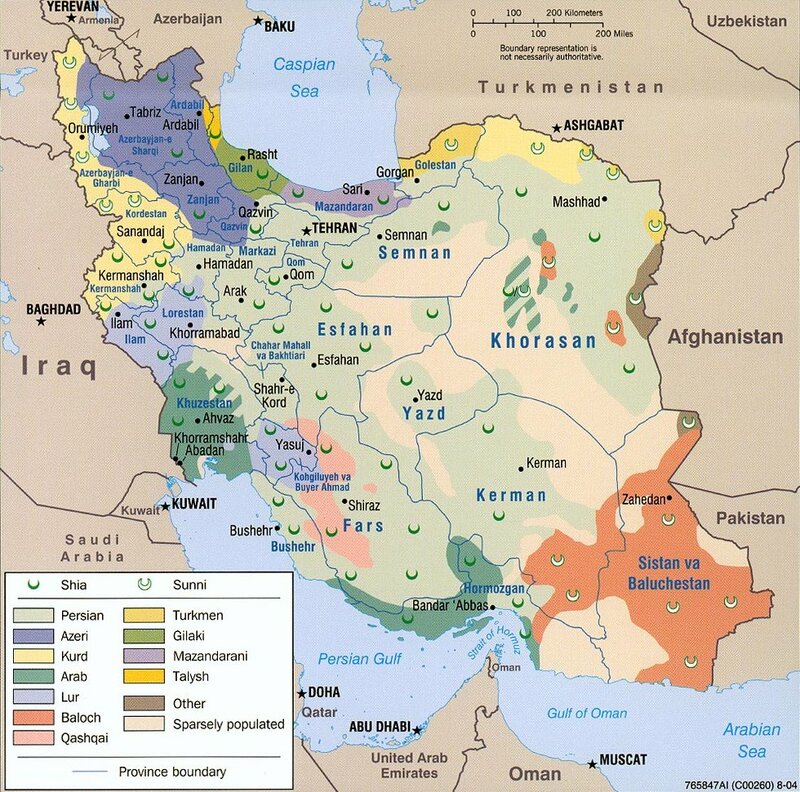 Provinces,Counties: Iran is divided into thirty provinces (ostan), each governed by an appointed governor (ostandar). The provinces are divided into counties (shahrestan), and subdivided into districts (bakhsh) and sub-districts (dehestan).Iran is a diverse country consisting of people of many religions and ethnic backgrounds cemented by the Persian culture.Shia Islam is the official religion and Persian is the official language. Cities:Tehran, is the largest city in Iran and is the Capital. Tehran is home to around 11% of Iran's population.Another major Iranian city is Isfahan (population 1,583,609), which is the capital of Isfahan Province. The Naghsh-e Jahan Square in Isfahan has been designated by UNESCO as a World Heritage Site. The city contains a wide variety of Islamic architectural sites ranging from the 11th to the 19th century. The growth of the suburban area around the city has turned Isfahan into Iran's second most populous metropolitan area. Energy: Iran ranks second in the world in natural gas reserves and third in oil reserves.Oil industry output averaged 4 million barrels per day in 2005. 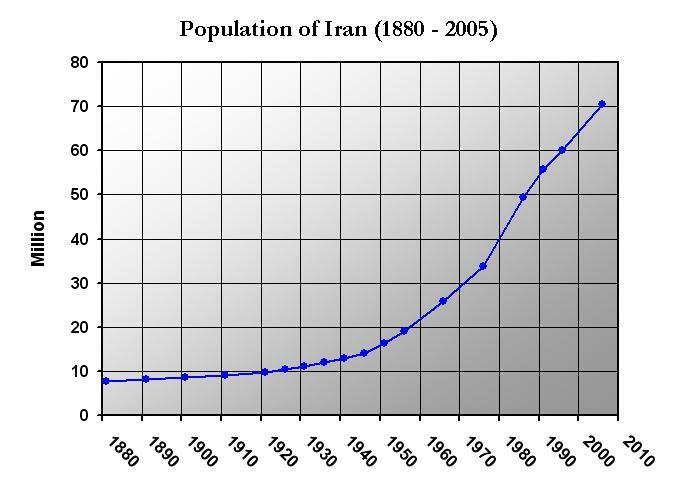 Demography: Iran's population increased dramatically during the latter half of the 20th century, reaching about 75 million . According to the 1956 census the population of Iran was about 19 million. Iran has one of the highest urban growth rates in the world. From 1950 to 2002, the urban proportion of the population increased from 27% to 60%. The United Nations predicts that by 2030, 80% of the population will be urban. More than two-thirds of the population is under the age of 30, and the literacy rate is 83%. Women today compose more than half of the incoming classes for universities around the country and increasingly continue to play pivotal roles in society.